Hypnosis was first accepted by the American Medical Association in 1958 as a recognized healing modality. 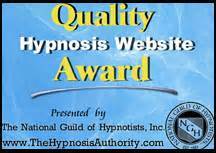 This is relatively recent in the history of hypnosis since hypnosis was first developed by physician Anton Mesmer in the 18th century. And it is fair to say that hypnotism has still not been wholeheartedly embraced by the medical community as a whole. 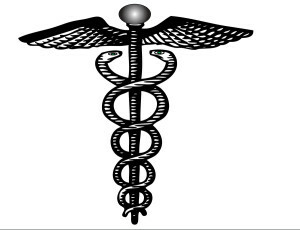 Never less more and more doctors, nurses and other medical practitioners are coming to appreciate hypnosis’ value. It is important to know that I am not a physician and that hypnosis and Hypnocoaching® are complementary therapies to medical treatment. I had the privilege of working at Women and Infants’ Hospital for three years in their oncology outpatient department as a hypnotherapist and am always happy to work in consultation with your doctor, nurse practitioner or other medical professional as part of your medical team. Surgery can be frightening. The uncertainty. The intimidating hospital surroundings. Hypnotherapy for clients about to undergo surgery is a very underutilized intervention. With hypnosis, clients go into surgery with less fear, more confidence and as a full partner with their medical team in the healing process. Two clients have been able to undergo a surgical procedure that normally called for general anesthesia with only local pain reduction medication. a brief hypnosis session before surgery can help breast cancer patient feel better afterwards and may actually reduce the cost of the procedure. A team led by researchers from Mount Sinai School of Medicine found that women who had hypnosis reported fewer side effects like pain, nausea, and fatigue in the recovery room. Additionally, surgical costs were $772.71 less for patients who underwent hypnosis compared to those who did not. The patients supported by hypnosis also spent an average of 10 minutes less in the operating room. The study’s author feels this is because they were more relaxed going into the procedure than the non-hypnosis group. Following surgery, hypnosis patients reported lower scores for pain intensity, pain unpleasantness, nausea, fatigue, discomfort, and emotional upset. Here is a comment from a client who was particularly fearful of gall bladder surgery. Skin conditions often respond favorably to hypnosis. I have had particular success in removing warts. Hypnosis has also shown to be effective for other skin conditions thought not to be under conscious control. An example is atopic dermatitis. Patients in a recent study showed decreased urge to scratch as well as actual scratching and sleep disturbance after treatment with hypnosis. In many patients, the improvements were still present at follow-up evaluations up to 18 months later. Everyone knows that putting off going to the dentist or seeing the doctor is a bad idea. Untreated conditions worsen. But fear can be a barrier that keeps people away from proper attention, often resulting in very serious problems that could have been handled easily if caught early. 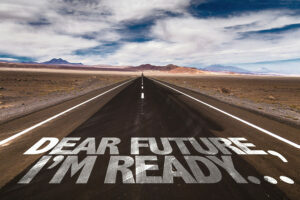 Hypnosis can help you break through the fear to get the help you need, often in a single session. A study of 152 cancer patients showed that a positive attitude toward treatment was a better predictor of response to treatment than the severity of the disease. And as positive attitudes can effect the body’s response to illness so apparently can negative ones. In a provocative study 411 cancer patients were told to expect hair loss from a new chemotherapy drug. Some were given the actual drug. Others were administered a placebo. 30% of those who received a placebo lost their hair anyway! Illness is being seen as more than a purely physical problem, but as a problem of the whole person, including thoughts, feelings and attitude: a holistic approach. Hypnosis can help you create that healing attitude. I have seen many inspiring examples of individuals with positive attitudes who have continued to enjoy healthy, normal lives long after statistics based on their diagnosis said they wouldn’t. At the very least, a positive attitude toward one’s condition can hardly hurt, can it? 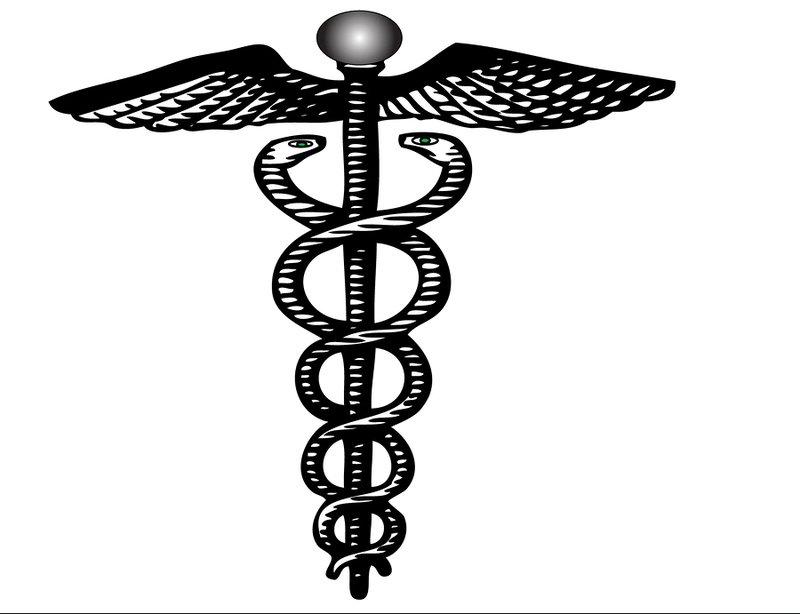 Before the perfection of anesthesiology, hypnosis was often used as the sole pain reduction agent in medical procedures. A British physician reported performing hundreds of operations (including appendectomies and amputations) using deep state hypnosis. The ease and predictability of anesthesiology pushed hypnosis into the background. However, hypnotism remains an effective way to reduce pain. This includes pain associated with dental procedures. Of course, it is essential that we only work on your pain in co-operation and under the supervision of your physician. Pain often serves a purpose. And to remove a pain without understanding or addressing its root cause would be a serious mistake. The effectiveness of hypnosis in the treatment of irritable bowels is well documented. Naturally, it is essential to first seek professional medical advice before considering hypnotherapy. As a consulting hypnotist, I am not qualified to, and cannot, diagnose or treat any medical condition. I will work with someone only with one the approval of and under the supervision of a physician. Having said that, you should be aware that hypnotism has been shown to have a positive impact on bowel problems. It has been so markedly successful in alleviating irritable bowel problems that Adriane Fugh-Berman, MD, chair of the National Women’s Health Network in Washington, DC, has said that hypnosis should be the treatment of choice for Irritable Bowel Syndrome cases which have not responded to conventional therapy. Studies are showing a response rate of IBS to hypnotism of 80% or more. You will find a wealth of information on the use of hypnosis in treating IBS at a free site IBSHypnosis.com, a public information website by clicking here. Bowel problems respond well to treatment by hypnosis or self-hypnosis in several ways. First, stress-related attacks can be reduced. Second, hypnosis can help you reduce the pain associated with bowel problems. Third, because IBS itself is not a disease but a “syndrome”, relieving the symptoms lets a patient effectively “cure” themselves of the disorder. The underlying cause may still be present. But without the symptoms, a patient is able to live a more normal life. Tinnitus is the experience of sound in the ears or head where no external source is present. The sound is individual to the sufferer. It can be ringing, crickets, whooshing, pulsing, ocean waves, buzzing, dial tones, even music. It can be occasional or constant. Keep in mind that tinnitus is a medical condition and must be treated by a physician. However, working under the supervision of your physician hypnosis can be effective in reducing the sound itself, or its annoyance factor. . According to a report by the National Council on Patient Information and Education, poor compliance to prescribed medical treatment is a leading cause of failed medical treatment and drug-resistant conditions. Millions with chronic conditions do not take medications correctly or stop taking them altogether. The report shows that only about half of hypertension patients follow their prescribed drug regimen, even though high blood pressure triples the risk of heart disease. The report finds the problemcrosses age groups and that the possibility of severe consequences for not taking recommended medications is insufficient to guarantee proper use. People fail to follow medical advice for a number of reasons. Chief among these for is the cost of medications. But people also fail for psychological reasons, especially where the symptoms are not immediate such as the example of hypertension patients. And it isn’t just medication programs that aren’t followed faithfully. Physical therapy, diet considerations and other treatment recommendations also fall by the wayside. This may not seem a likely use of hypnosis. But if you need help keeping on track with your medical program and would like support, it could be the answer you are looking for. Many Rhode Island and Massachusetts folks are among the 60 million Americans who suffer from insomnia. Some have trouble getting to sleep. Others trouble staying asleep. Prescription medications work for many people. But some prefer a natural approach in conjunction with medical treatment. I do not treat sleep apnea (or any medical condition). 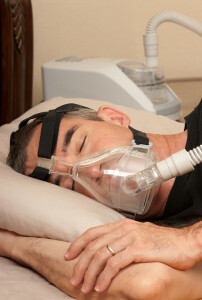 But I do help people who have been prescribed CPAP units to wear them comfortably and consistently for maximum benefit. If you need a cpap device it can almost magically improve the quality of your sleep; but you must use it to get the benefits. For many people this takes some getting used to: hypnosis can help you actually learn to love it. Hypnosis was used to address problems with alcohol long before Alcoholics Anonymous. It can be a useful aide in jump-starting your sobriety problem or as an adjunct to 12-step or moderation programs. Keep an open mind and give me a call if you think you have a problem with alcohol. Half of all people who continue to smoke throughout their life will die from smoking related disease (US Department of Health). The United States is in the midst of an epidemic of obesity. Health risks include heart disease, stroke, type 2 diabetes, cancers, fatty liver disease, chronic venous insufficiency, gallbladder disease, breathing problems (including sleep apnea), deep vein thrombosis, arthritis, birth defects and an early death. Losing weight, however, can be a difficult challenge for overweight people. Sometimes so difficult that they simply give up and the weight stays on year after year. It doesn’t have to be this way. Research and my own experience show that hypnosis at least doubles the effectiveness of any weight loss program. Hypnosis also increases the likelihood of keeping the weight off by 150%. I use hypnosis to help clients lose weight and keep it off in both individual and group settings. Click here for information on my individual hypnosis weight loss program. Don’t see your health issue here? Give me a call at 401-374-1890 and I will let you know if I think hypnosis can help.